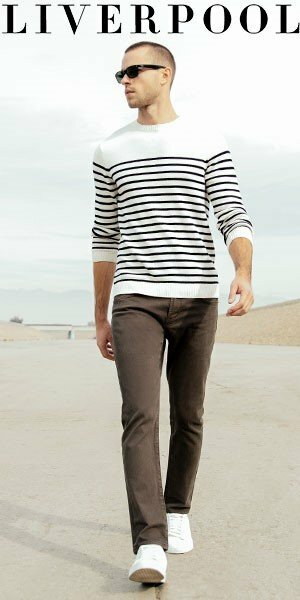 A perfect in-between of a boyfriend and straight leg style - top trend! And here you go thinking that Frame jeans are synonymous with skinny, high waisted, and very often ripped, jeans, And with a lot of stretch. Ha! We had thought so too, at least until a few seasons ago. After all, Frame’s trademark jean has always been “Le Skinny de Jeanne”. But then Frame started to venture into the field of boyfriend jeans as well, Le Garcon, but they still featured a lot of stretch and the style was more like a slouchy skinny than a real boyfriend jean. But a couple of seasons ago, Frame – going with the trend – launched their Le Original jean, a high waisted straight leg made of heavier 100% cotton denim, and I perked up. (You know I have an eternal love affair with rigid jeans!). And this season, Frame released the Pegged Jean, featured here. This style is right in between a regular boyfriend and a straight leg, featuring a lower rise and a cropped 27″ inseam. Made of 100% cotton and in a beautiful vintage medium blue – we are sold. You can buy the Pegged Jean at Barney’s and at Revolve. And if you prefer the same jeans in a darker wash (last image below), you can buy them at Bergdorf Goodman.